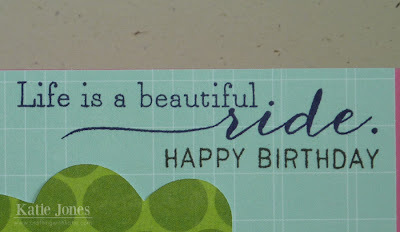 crafting with katie: Life is a beautiful ride. Are you sick of my bicycles yet? I think I'm addicted! 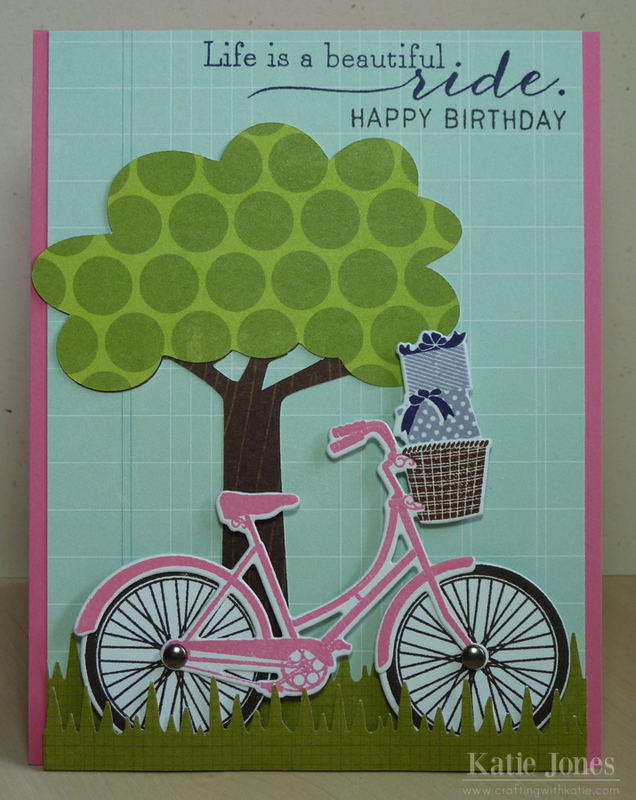 Here's a birthday card I made for a sweet friend. I used the Cricut Just a Note cartridge for my tree, cutting it at 4 1/4". 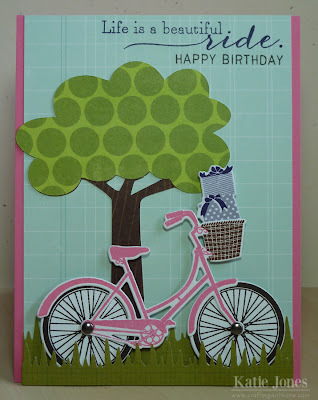 I found some perfect patterned paper for its trunk in My Mind's Eye Life of the Party and for the foliage in Fly a Kite. For today's bike, I used Papertrey Ink's Pedal Pusher stamps and dies, using the presents for the basket. I used my Martha Stewart Icicle Punch for the grass, and I popped up an extra layer of it with dimensional adhesive. I popped up the bike as well. 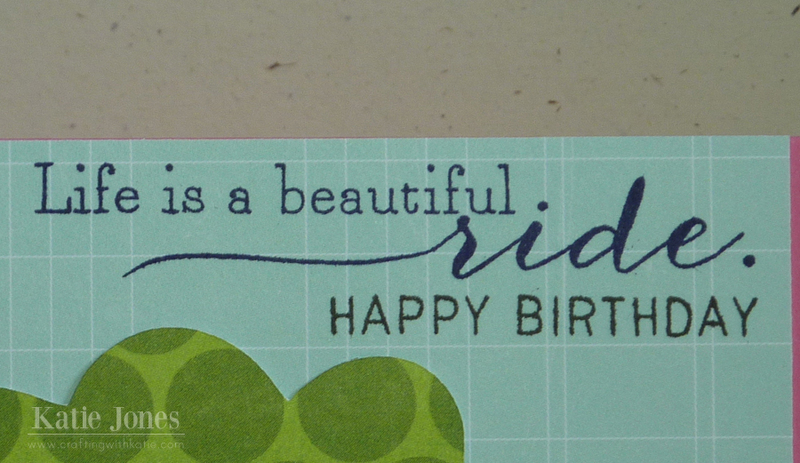 The sentiments are from Pedal Pusher, stamped in Royal Velvet and Smokey Shadow. No...I'm not sick of them...super cute design! Oh my goodness. Love this, Katie! and bike dies!? Where have I been!? MUST add to my die collection!!!! Katie ~ This card is BEYOND BEAUTIFUL!! I LOVE it and you know that! 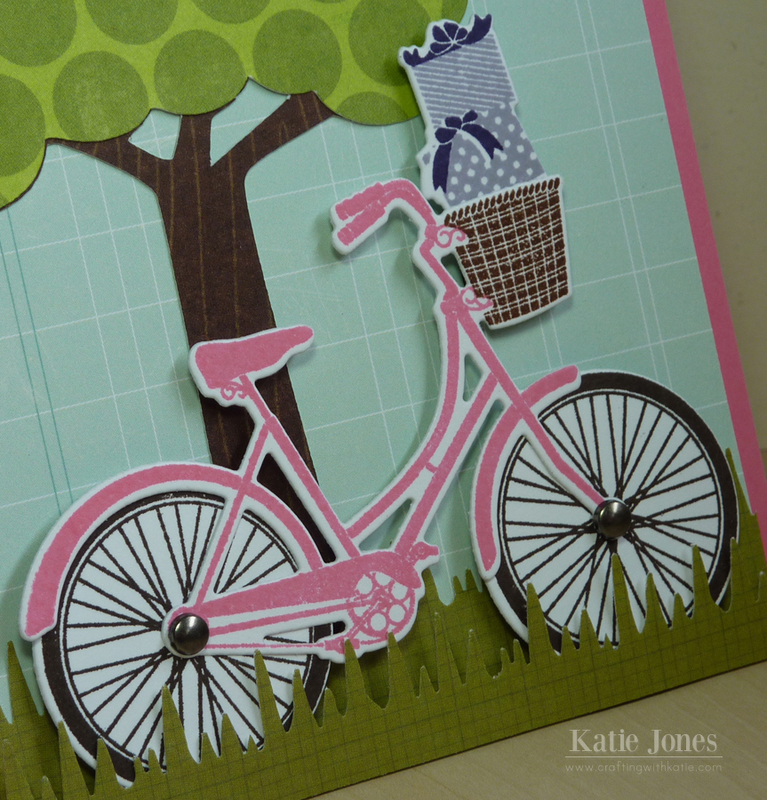 I LOVE the colors, the cuts and oh my the bike! It is AMAZING in person! Thank You soooo MUCH! I will treasure this FOREVER!!! Thanks for being my rock! Luv ya!! !